More about iittala Toikka Eastern Willow Bird The iittala Eastern Willow Bird is an original piece of glasswork created by the master himself, Oiva Toikka. Only 200 of these glass birds were produced, which elevates the Eastern Willow Bird to a rare and highly collectable status. 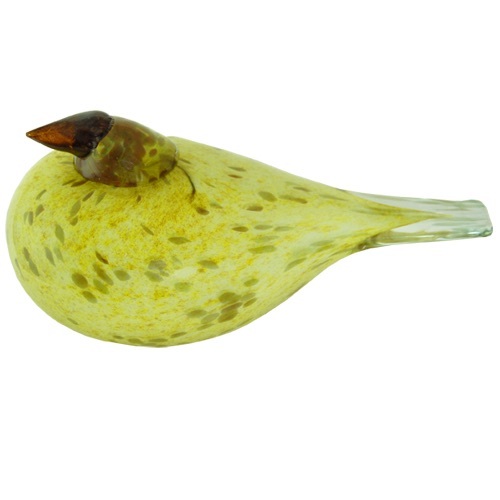 Intricately layered, the sunny yellow, olive and brown markings give this bird a cheerful disposition. The inner layer of the bird is blown from heathered yellow glass, while a thick layer of clear glass envelops the entire body. Inlaid with olive green spots, Toikka uses an interesting mix of color and texture to give this bird multi-dimensional appeal. The olive green head, brown beak and dual-toned tail serve as attractive accents. 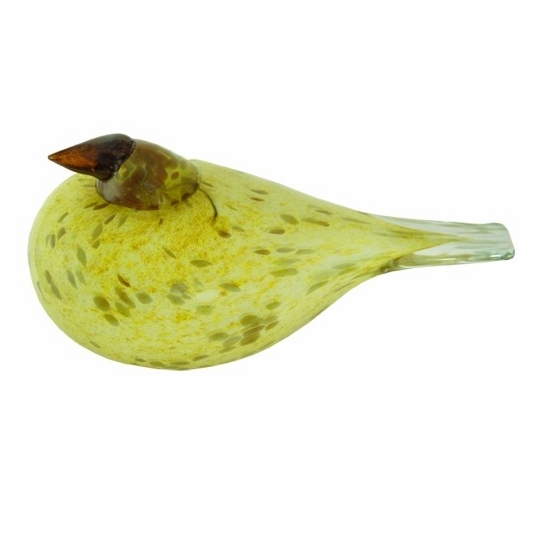 A must for glass bird aficionados, own the Eastern Willow while supplies last.